Forget pencil and paper forms. 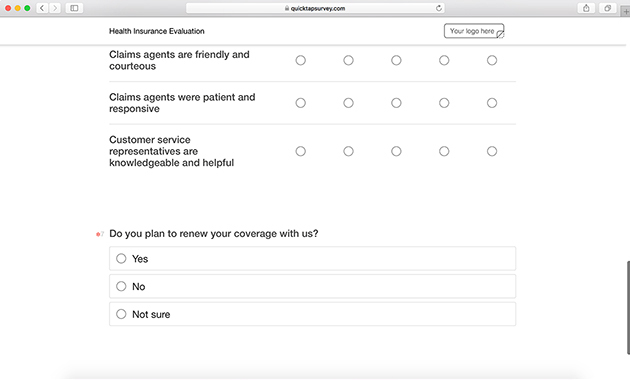 QuickTapSurvey's fast and easy survey builder app can help you build and launch your own health insurance satisfaction survey form in minutes! 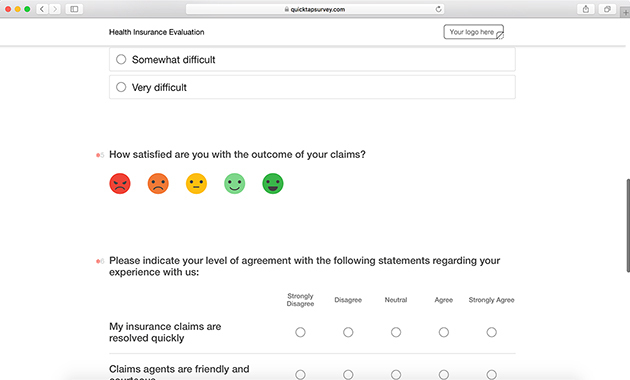 Gain actionable insight on claim outcomes, customer service, and plan renewal rates by listening to feedback from your customers. Capture data anywhere, even offline with the number one survey app on the app store. Do you think our health insurance rates are reasonable? How happy are you with the choice of healthcare providers in your current plan? How do you file claims with us? How easy is it to file a claim with us? How satisfied are you with the outcome of your claims? Do you plan to renew your coverage with us? We're sorry to hear that. Can you tell us why you've chosen not to renew your coverage? Sign up online for one of our plans. We offer Individual, Pro, and Premium plan levels. 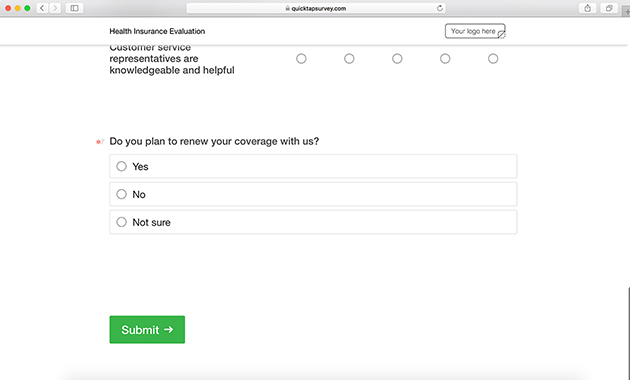 Build your health insurance evaluation using our fast and easy survey builder. Use this template or start from scratch with your own questions. 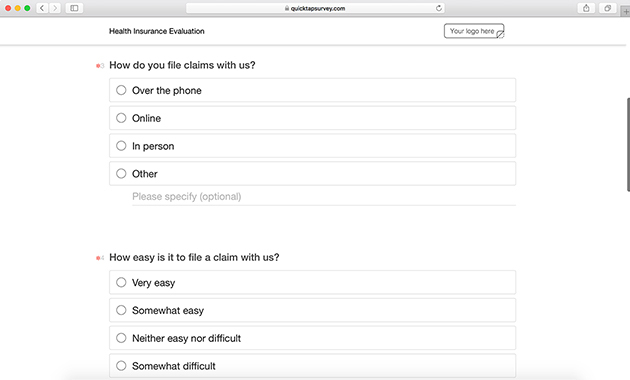 Send your health insurance evaluation form out to your customers and collect responses using our generated response link. Take advantage of our powerful analytics and reporting tools to analyze your health insurance form responses and take action with your data. 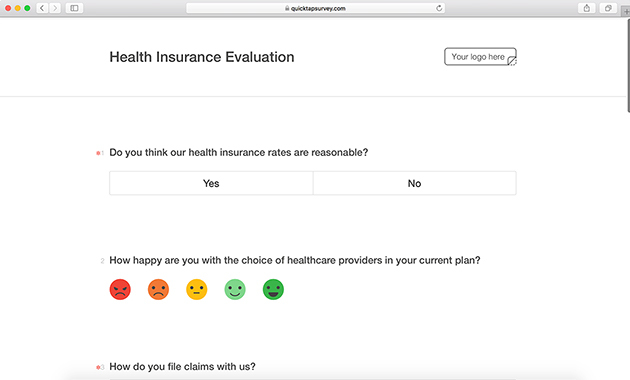 Start your free trial today and gain access to this health insurance survey questionnaire and other templates.